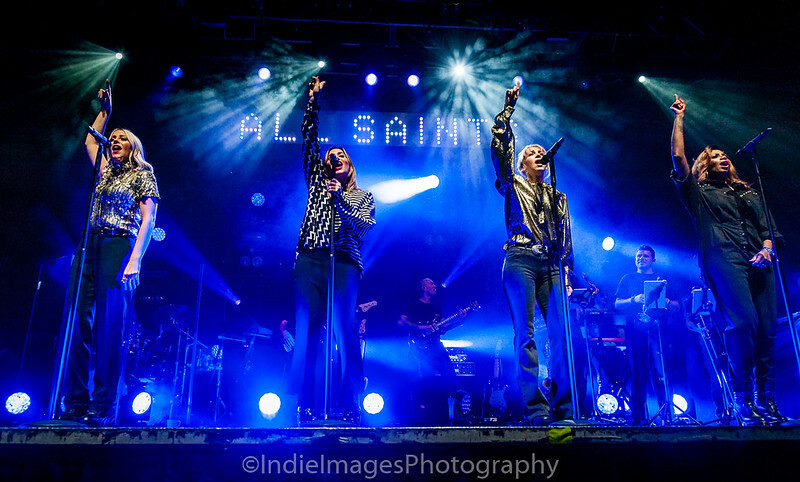 Fans heading to the iconic Birmingham Institute certainly knew where the hottest tickets in town were at as All Saint’s Testament Tour rolled into the second city. The wind and rain didn’t stop the group that set off girl power back in the mid nineties from drawing a sell out crowd, no matter how many would argue the fact a certain five piece who have recently announced a tour did so, it was All Saints who had both the harmonies and the style bringing cargo pants fashionable and army boots aplenty. Rising Liverpudlian starlet Jetta kept the crowd entertained before their idols graced the stage. Dressed head to toe in black with peroxide blonde braids, her quirky style complimented the smiles she flashed at the audience as she spoke, but couldn’t prepare the audience for what was to come out of the 28 year old’s mouth. Her mix of R’n’B and dance vocals were pebbles with classical falsettos dropped into the music creating a unique and diverse sound. 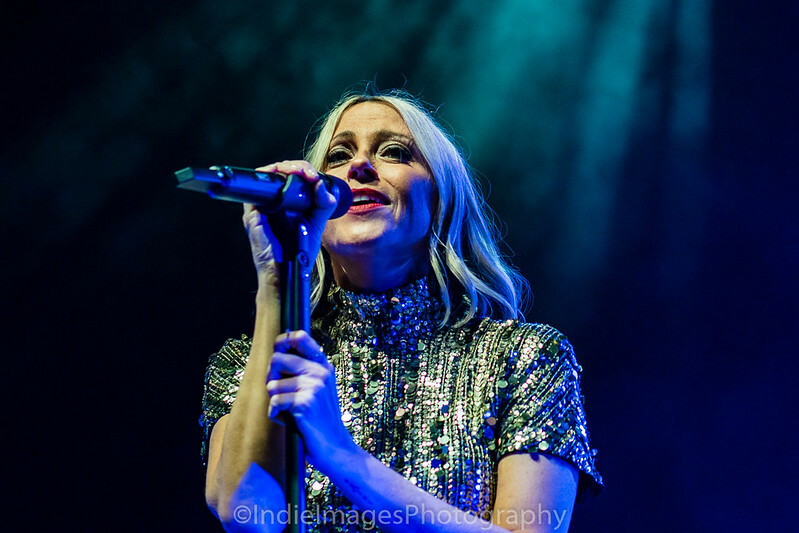 It is easily understandable how she was chosen to tour with the girls as her harmonies echo across the room and her vocal capacity dancing from high to low in the split of a second kept the audience mesmerised. 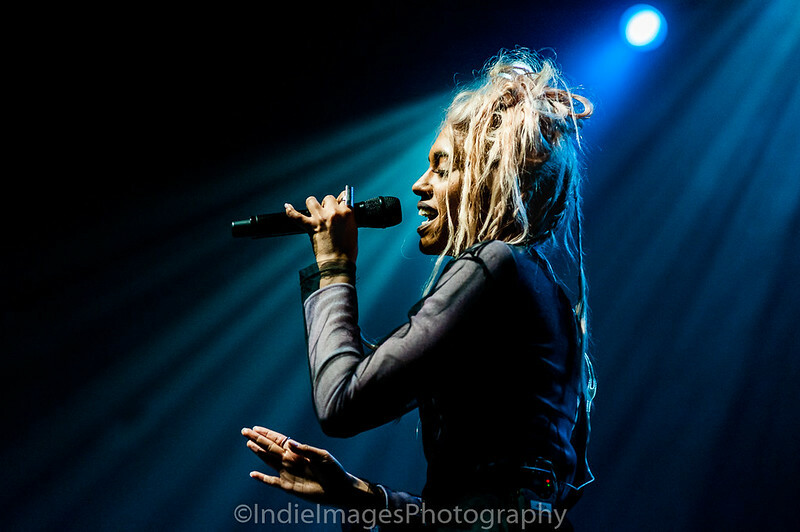 With the Testament Tour bringing home-grown talent to the stage Jetta wowed the diverse crowd, appealing and gaining further reaction than earlier support Asher Knight, it’s no surprise to find out the support network she’s come from. 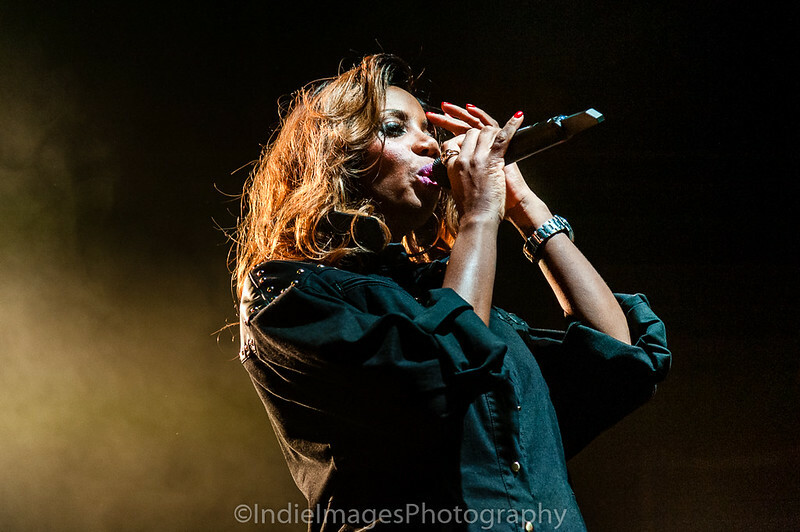 Her debut track ‘Feels Like Coming Home’ was chosen in 2013 to be part of a Google campaign which was also produced by American legend and TV’s The Voice mentor Pharrell Williams. 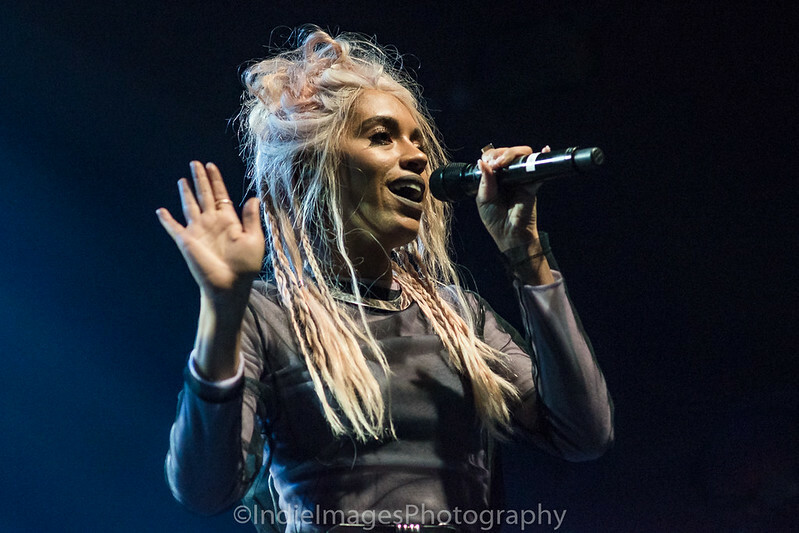 The Voice connection didn’t stop there as Jetta has previously sang backing for both mentors Paloma Faith and Cee Lo Green. 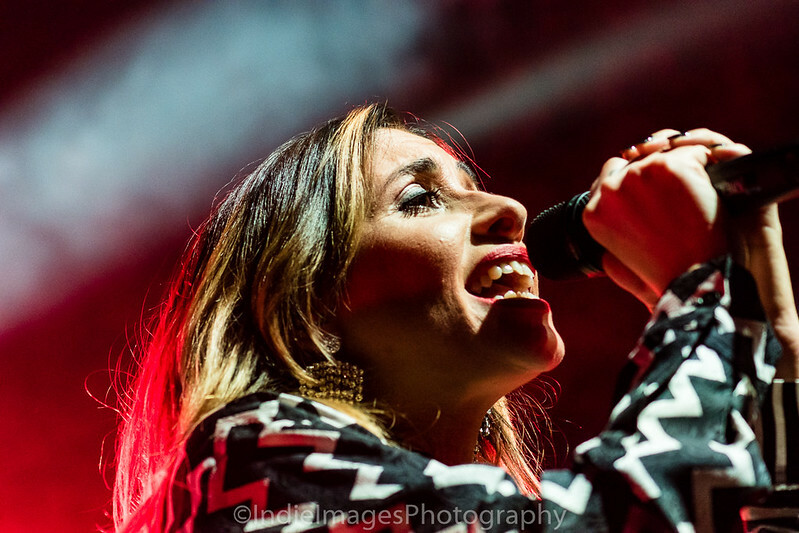 Her strong vocals and likeable stage presence shone through as she kept the audience entertained. 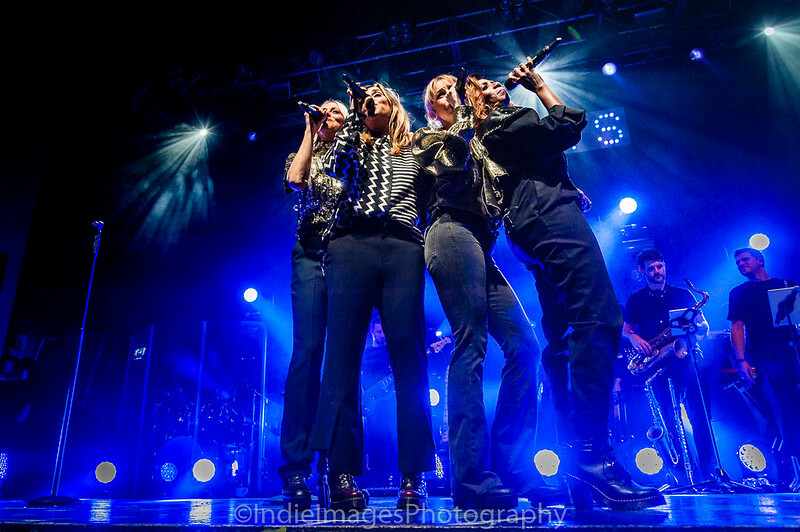 With the stage falling into darkness the euphoria started to build up in the venue, with stage lights towering high spelling out ALL SAINTS it was time for Shaznay, Mel, Nat and Nicole to take the stage. 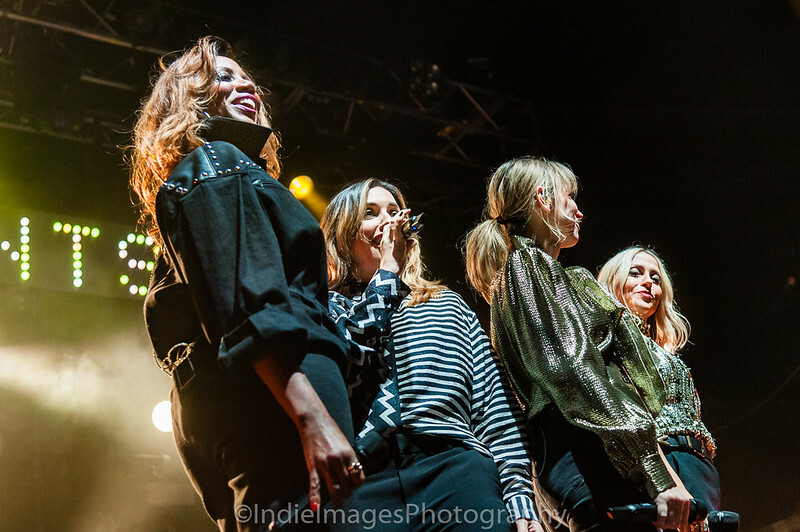 Joined by a full band the ladies appeared on stage to whoops and cheers, ditching the cargo pants for a more mature look of blouses and trousers the four piece looked as youthful as when they burst onto the scene 23 years ago. A short sharp intro of clips of their biggest hits had the audience screaming from the off with the dirty beat of fan favourite ‘Bootie Call’ filling the air, fans eagerly started moving from side to side, gyrating and singing along to it’s infectious lyrics. 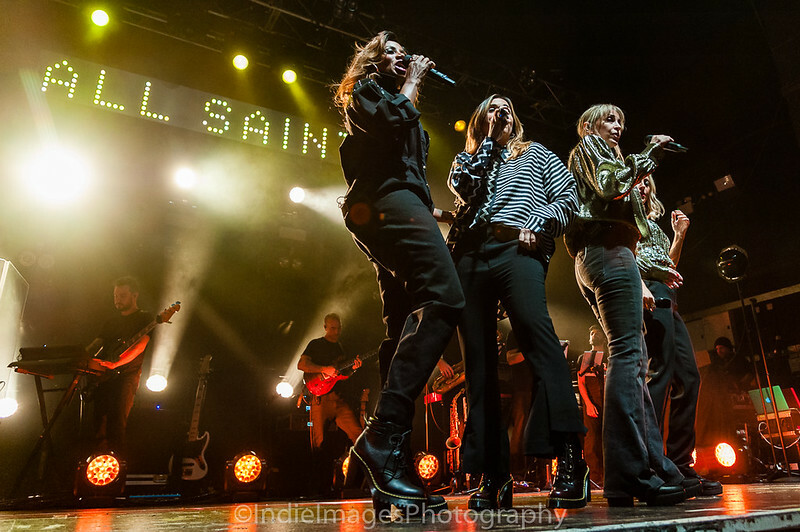 Alternating between Mic stands and free flowing All Saints showed Birmingham where the party was at ‘One Strike’ and ‘Three Four’ treated the audience to more modern times, which the fans still sang word for word showing it wasn’t just a nostalgia show. Tonight’s harmonies were on point, with debut ‘I Know Where It’s At’ showing off Mel’s amazing vocals and Shaznay is still as fierce with her raps leaving the audience going crazy. Latest album offerings ‘No Issues’ and ‘Love Lasts Forever’ work easily as chartable tracks for the modern audience as well as the powerful drum beat and catchy chorus of ‘Glorious’ could easily be mistaken as a Little Mix offering if you hadn’t heard the album proving the ladies are still capable of regaining their girl power crown. 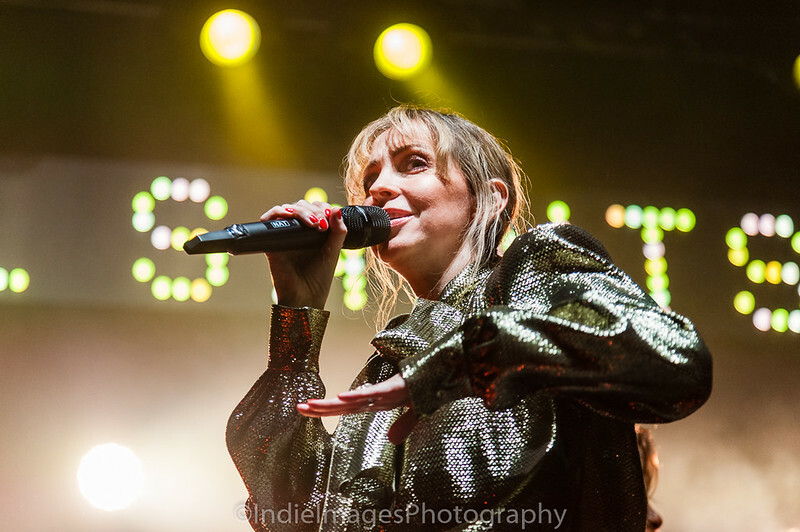 Sisters Natalie and Nicole showed off their moves and vocals on stage in gold blouses complimenting each other, whilst Nat had issues with her sound and went to the side to fix on a few occasions she brushed the issues aside with true professionalism with her slinky dance moves. Taking the audience back to their youth the show was splattered with all the hits ‘Pure Shores’, ‘Black Coffee’ and ‘Under The Bridge’ erupting in a mass sing along of joy and happiness. 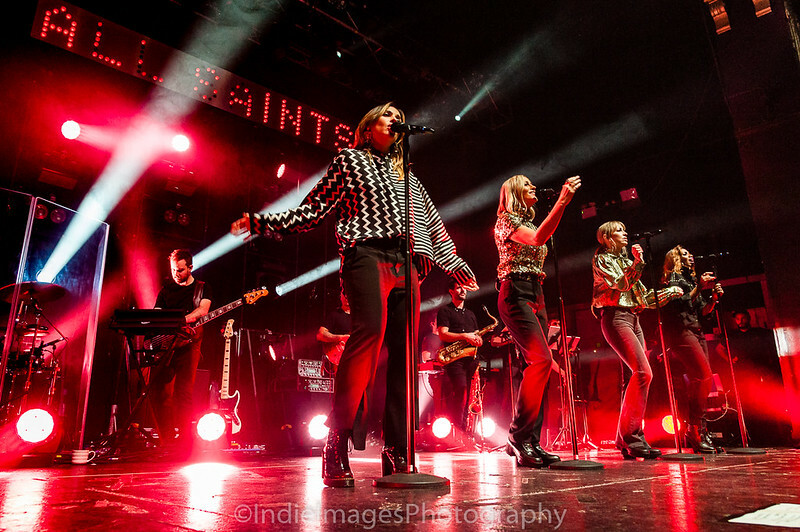 The girls interrupted the polished choreography at moments, playfully adding free style moves and displaying the strong bond that they first had when bursting onto the scene, taking turns on the mic to show their appreciation for the fans who had followed them both old and new and made it a pleasure to come out on the road to see. Even with a mammoth set list of 17 tracks, as the band left the stage the audience’s cheers erupted as they called for more. The audience stomped and cheered for the track which strangely I performed for my GCSE music exam back in the day, their first number one ‘Never Ever’. Nicole performed the introductory speech over the three other lady’s harmonies. 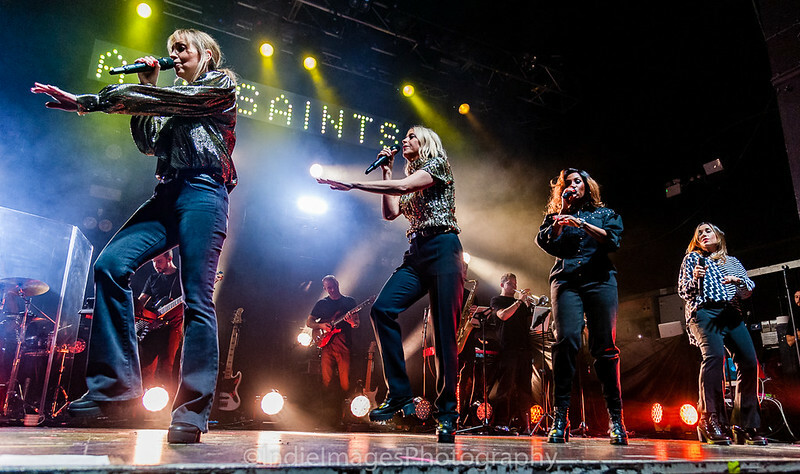 The crowd sang along as All Saints ended a phenomenal night giving the audience a masterclass of musical A to Zee. Their youthful glows mirroring the audience beaming as they promised to come back in 2019.